Pichets in Paris Publishing - Stories set in Europe - Predominately France: Bernard Pivot Blogfest - February 16 - Giveaways! 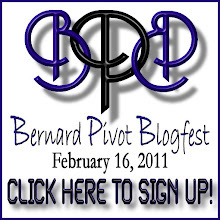 Bernard Pivot Blogfest - February 16 - Giveaways! Nicole Ducleroir from One Significant Moment in Time has surpassed the 500 followers milestone and she feels like celebrating! This blogfest is designed to bring many of us together to get to know each other better. And she thought it'd be fun to use Bernard Pivot's famous questionnaire to do it. Well, I know a gazillion people have signed up so I'm very honoured that you have tripped over here to France to check on my thoughts of the day. The questionnaire was originally created by Bernard Pivot, a French journalist, for the cultural series he hosted on French television from 1991-2001, called Bouillon de Culture. What I love about the questionnaire is you can either answer the questions with all the truth in your heart, or you can approach them with creativity and cleverness -- finding answers or deliveries no one else has ever come up with. But which ever way you go, everyone's answers will be revealing, telling us interesting things about you. To show her gratitude for all the wonderful people blogging brings into her life, Nicole is having a giveaway! Signing up for the blogfest automatically enters you in a drawing with cool prizes (TBA). Go to Nicole's blog for further details. You probably still have a bit of time to sign up as my post will be a bit earlier being on the other side of the world 'n all. Winners announced on February 18. My favourite word is 'word'. There'd be no words without 'word' would there? 2.What is your least favorite word? 'No.' Just simply hate that. It takes all the fun out of life. 3.What turns you on creatively, spiritually or emotionally? Am I boring - reading? 5.What is your favourite curse word? Ooooo! I don't curse except when a character calls for it. It would have to be 'bloody' as it isn't classed as a curse word in Oz, really. 6.What sound or noise do you love? Champagne corks popping! Tres French innit? 7.What sound or noise do you hate? That horrible ping in Windows when your link is dead. Ping! Eurk! 8.What profession other than your own would you like to attempt? 9.What profession would you not like to do? 10.If Heaven exists, what would you like to hear God say when you arrive at the Pearly Gates? Get outta here and go and read someone else who actually has a brain on today! lol, I'd have to say that 'no' is one of my favorite words. I really just like saying it, and I say it all the time and usually when I mean "yes" (like when I have friends over and the ask if they can use the bathroom, and they usually ignore me so its all good) I also love the sounds of a champagne cork popping! That is a good one! good times are about to roll! I love visiting you over here! Fun answers - chocolate tasting in Harrods sounds divine. Words, reading and champagne corks popping - what more could a person ask for? and bloody just so happens to be my fave curse word at all! too bad i forgot to mention it in MY post. Oh bloody well! What great answers! Is Chocolate Taster at Harrod's a real profession? 'Cause I'll dust off my CV today, if it is! Thanks for playing along! And I have to say again how much I love this French blog of yours. Je l'adore! Nice! I haven't been on this blog before. It is great. Chocolate taster...someone else said Cheese taster. Mmmmm...to both ideas! Cool answers! I've been a follower on L'Aussie, but I just found this blog. nice to get to know you a little better. my kids say bloody and we're in America, but they don't count it as a swear word either. Great answers, especially for number 10! Heaven can wait. LOL. Brilliant. And chocolate taster!!! HOW did I not think of that?? I didn't realize I love the sound of champagne corks until you said something! Hi Denise, I love champagne corks as well. We share the same worst word. Reading oh yeah. No wonder we get along so well. Heaven wouldn't be heaven if there was no chocolate. So from one chocoholic to another have a great day. Oh and I love the look of the blog. Denise, I wasn't following you - what the hey!!!! Well, I am now. 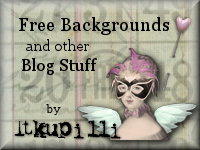 And a fine blog you have.. love the wallpaper. And your mugs! They're gorgeous!!! I've always been a fan of Mizz Binoche, too, and Chocolate is one of my very favourite movies of all time. Yah, I'm with you on the painting roofs thing. Do people really DO that? Heaven has to wait so you can write. Love it! Cool response on number ten. I'm morbid, so sometime I think about dying before I do all the stuff I want to do. I've never heard of painting roofs, but we re-shingled in 117F temps in Northern California. Nasty. LOL! Heaven can wait, indeed! We hate the same word! Long live chocolate! I didn't know you entered. There were like 160 entries and got through about half. I LOVE your answers .... so fun. I like that you hate the word "NO" also. I didn't know you didn't curse. No wonder you were shocked by my biotch. I cracked up with #10. Be prepared for a lot of it in THE BLINDED GARDENER. Glad you liked the answers one and all. I tried to get back to each of you. If i haven't already I will! Well You have to go to heaven if you bring chocolate....not like it will last on the other end I mean between the temperature and the gluttony...it's gone in two seconds. Hee hee, I always seem to drop by when you've scored yet another try in a blogfest game. Congrats! Sorry it's taken me so long to get to your post in the blogfest. This has been so fun, though. I love people's answers and its helping me build new character profiles. Champagne corks popping! That is a lovely sound! And chocolate taste at Harrod's. Yum, both to the chocolate and Harrods! Woh, fancy winning, I'm not sure what but great! This blogfest has been amazing and thanks for taking the time to view my entry!